In this Kingdom Hearts 3 Obtaining Pre-Order Keyblade & Prize Postcards Guide, I’ll be showing you how to obtain the pre-order keyblade. Kingdom Hearts 3 is a wildly anticipated game with tons of pre-orders. 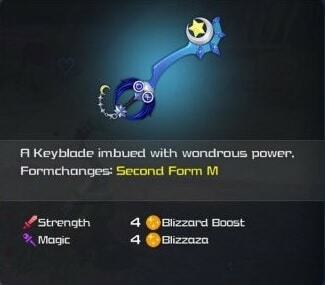 Those playing may be lost on how they can redeem their new pre-order keyblade and how quickly they can they use it in-game. These questions will be answered here. In addition, I’ll inform players on how to obtain Prize postcards. 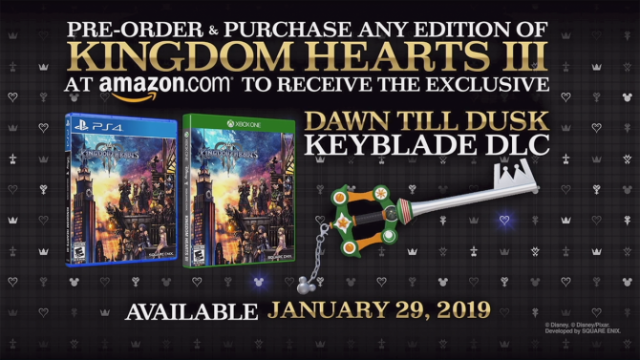 The Dawn til Dusk Keyblade from Amazon will be obtain once players input the DLC Code they receive into the proper platform store for their system. For those on PlayStation 4, go to the PSN store, scroll down the left sidebar to Redeem Code. Enter the code, confirm it, and select download. Those on Xbox One, head to the Marketplace, Redeem Code, input code, and download it. 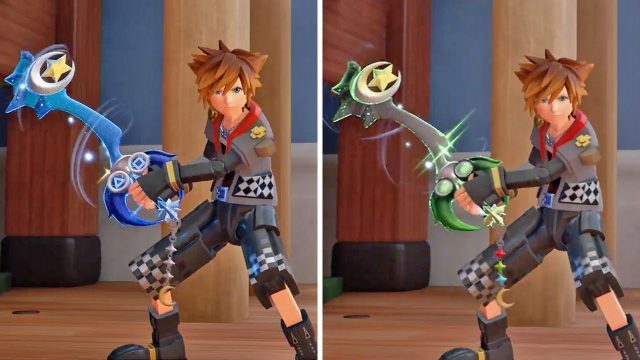 The Midnight Blue keyblade from the PS4 and the Phantom Green keyblade from Xbox One, it will be in the your inventory upon starting the game. 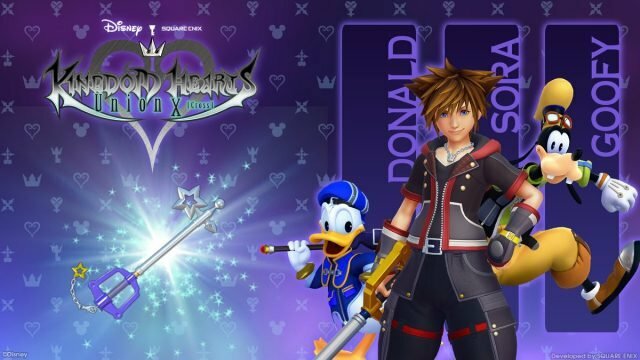 Those who played Kingdom Hearts Union Cross and got the Starlight Keyblade will have to input the DLC Code they receive into the proper platform store for their system. For those on PlayStation 4, go to the PSN store, scroll down the left sidebar to Redeem Code. Enter the code, confirm it, and select download. Those on Xbox One, head to the Marketplace, Redeem Code, input code, and download it. In order to obtain Prize Postcards players must spend munny (money) at the Moogle Shop. Each additional Prize Postcards will be given to players once they pass the munny spend quota. Interesting to see a game reward players for spending in-game currency and this should cure my bad habit of hoarding everything which usually results in the end with never using a single item or spending any currency. Now that you have a Prize Postcard, head to Twilight Town which is where the Moogle Shop is and move slightly to the left to find the Post box. Every postcard that is mailed, players will receive synthesis materials as a reward. 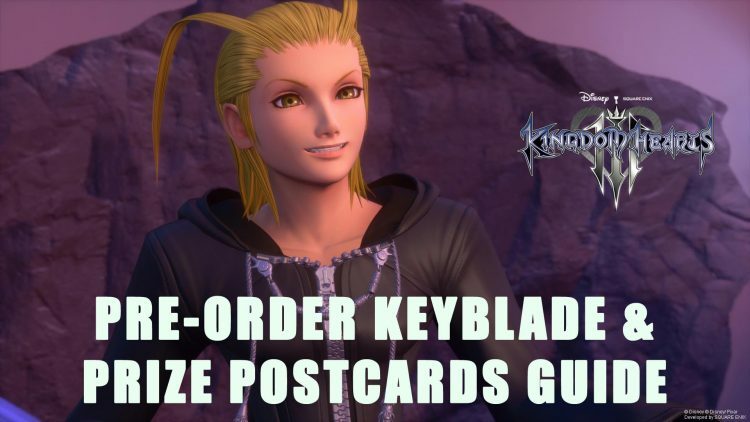 After following this guide you’ll be able to enjoy your pre-order keyblade and Prize Postcards! If you want more Kingdom Hearts 3 guides be sure to read our Kingdom Hearts 3: All Keyblades Guide and our Kingdom Hearts 3 Trophy Guide & Roadmap. Be on the lookout for more Kingdom Hearts 3 guides and content!